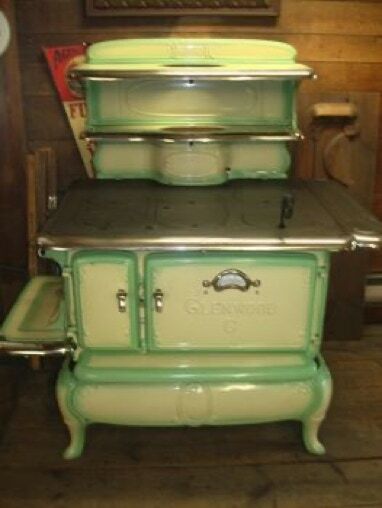 Built in 1926, this beautiful kitchen range is available in green and cream. 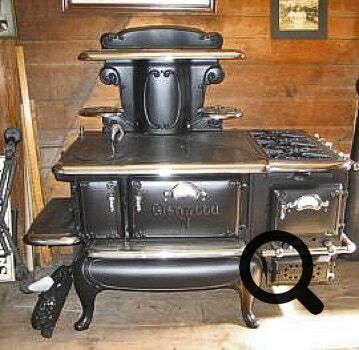 Perfect condition and ready to cook with either wood or coal. Great easy to clean up surface. 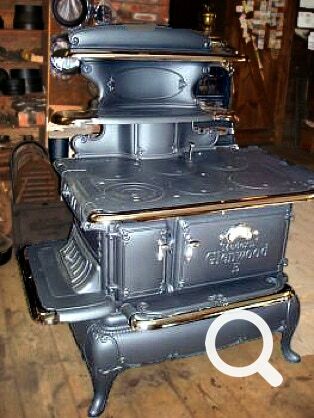 This stove is sold but we have others in stock in different colors. 1926 Glenwood N with gas sidecar. Completely restored with wonderful nickel plating. Wood or Coal with Gas on the side. Auto-safety pilot to oven. Year round cooking possibilities. Made in Taunton, Mass. 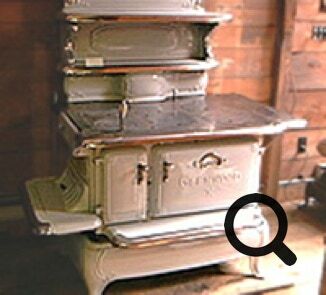 This handsome wood burning antique stove was built in 1905. Two shelves, six burners and just a touch of shine. Clean, crisp and ready to cook. Green is sold but we have one in gray in color in mint condition. Good for year round cooking with the gas side car attachment. Appox. 5 feet in width. The perfect combination of wood, coal and gas. 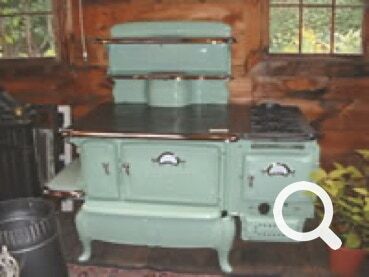 Circa 1912, a large full sized range that will cook and bake up many a nice winters night meal. Solid construction, easy to operate. Burns wood or coal. Easy to clean enamel, brighten up your kitchen. We have 3 with gas sidecars in stock.